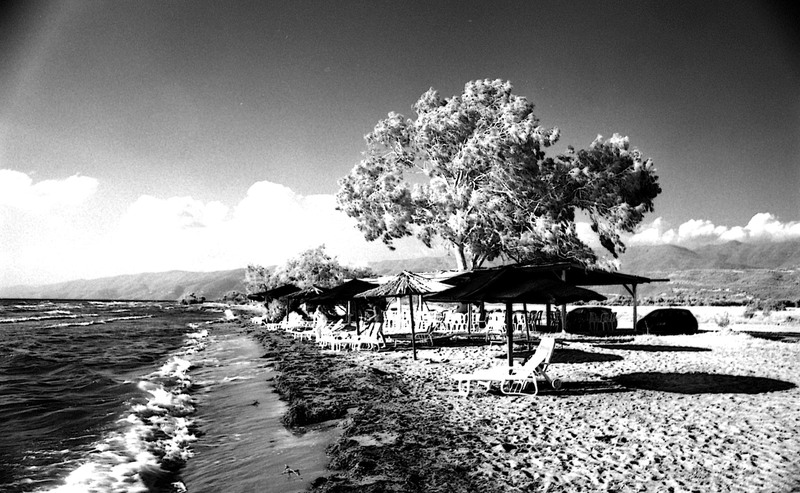 Arapis Beach in infrared. Arapis Beach is located to the west of the village of Loutro, near Amfilochia in western Greece. Next to the beach is a marshland which is part of the Important Bird Areas (IBA) of Amvrakikos Gulf. To the point where the road gets to the beach, inside the marshland, are the ruins of buildings that used to comprise the settlement of Arapis.